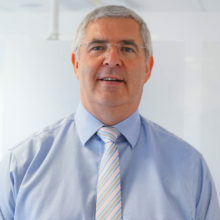 Andy has over 30 years of experience as a Chartered Accountant in business. He applies this experience and a good deal of common sense to develop business relationships. Andy’s responsibilities include acting as a ‘Virtual FD’ for our clients, securing funding for clients, business development and general client care. Andy is always on a diet and supports Everton FC!